"It's the most wonderful time of the year!" - no I am not talking about the kids going back to school!!! I am talking about post-CHA!!!! Let me start with BoBunny Double Dot Collection pads...there is Very Vintage, Natural Necessities and Bright & Bold. Is it ever too early to start thinking about Christmas? I don't think so - BoBunny Mistletoe is adorable. So these are my favorite BoBunny items...but there is just so much more that I love...stay tuned for the next segment as I share the other items I love! One of the biggest sources of inspiration for me is what I overhear my children saying. There have been countless moments where I think..."Whaaa?" and burst into a full-fledged belly laugh :-) Many of those goldmine phrases I have recorded in a book but some just stay on in my memory. My layout below is one such example. The above layout captures a few of the special moments at my youngest's birthday party. Three years later I can still hear her utter the words, "The best day ever!" When I heard the words, I thought about including it in my journaling but when it came time to construct my layout, that phrase seemed like the perfect counterpart to the layout title. Plus, I was so lucky to find the exact phrase in a conversation bubble too on the BoBunny pattern paper. So for this Fabulous Fundamental, I encourage you to be inspired by those oh so special sound bites that are a part of our everyday life! The summer kit features Authentique Fresh and Carefree - it is absolutely luscious!!! Want to see how the Design Team used the kit??? Ellen made this gorgeous "quilted" card - doesn't this card remind you of the cottage? 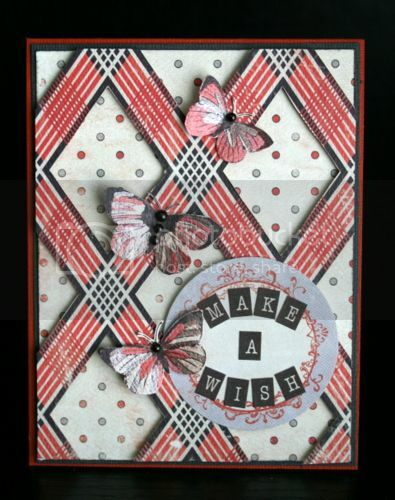 This card showcases the many pattern papers of the kit...simply divine! 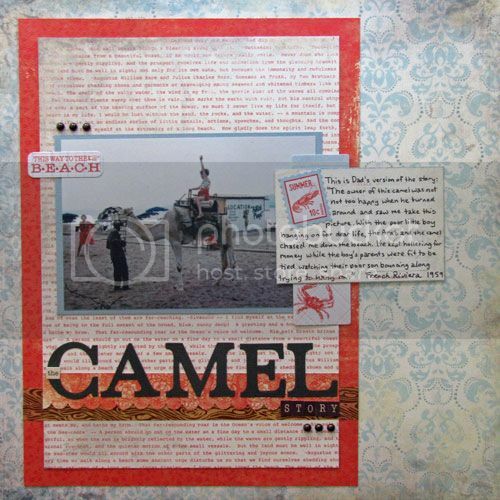 This layout from Gail showcases the classic colour scheme of the Authentique kit papers - yum! Plus those accents...and that typeface background paper...sigh...so lovely! I think you will agree that this stunning card from Jen is jaw-droppingly beautiful. Mmmm...those butterflies are fabulous! 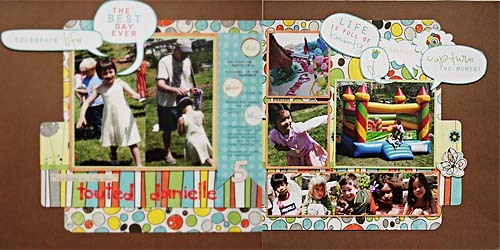 Rosie's layout attests to the versatility of this kit...from travel to summer to sports to everyday moments...love it! 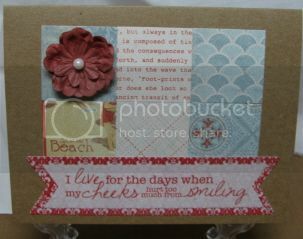 I also love how Rosie used the Studio Calico mask and spray to accent her layout. 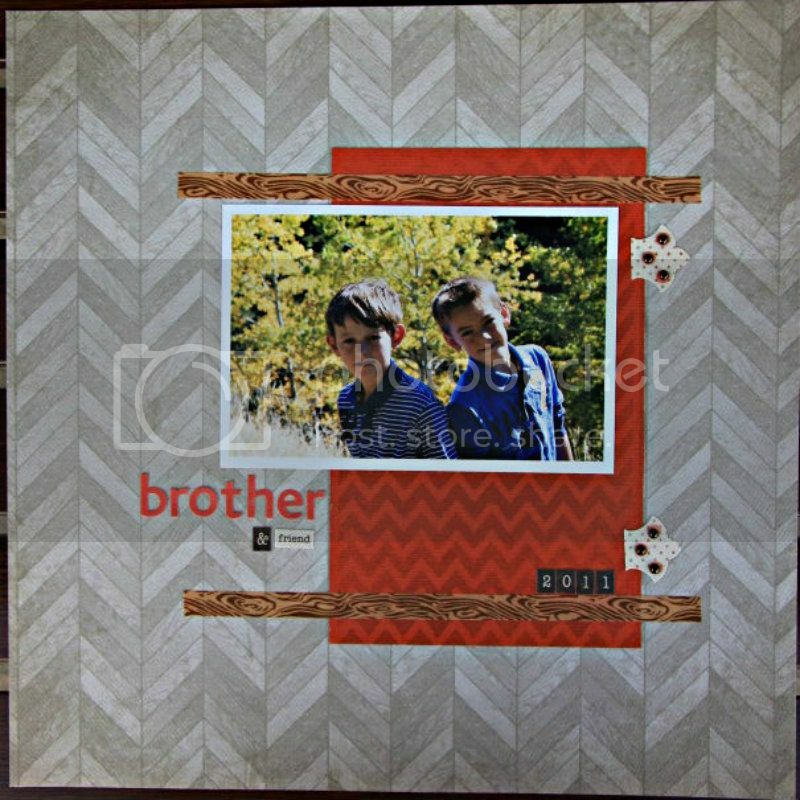 Check out Jamie's layout showcasing the oh so popular chevron designs. 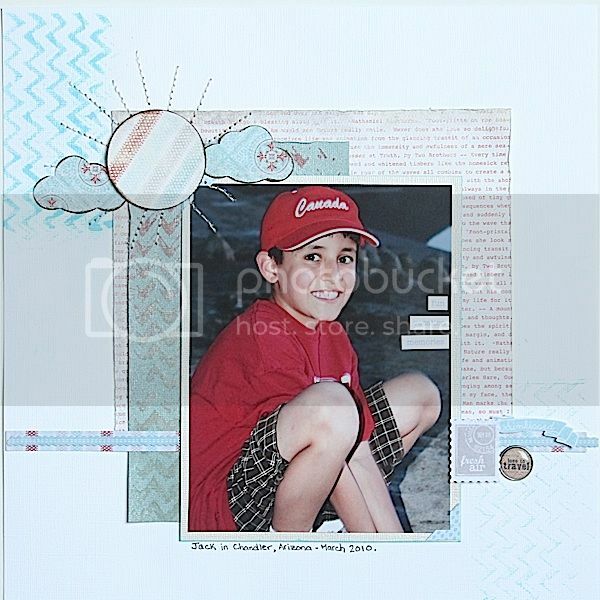 These papers are a perfect complement to her photo...and look at the faux hinges...fantastic! I think you will agree that the Team has done a terrific job with the Summer Scrap Shotz kit!